Kingfisher Airlines' announcement last week to discontinue with Red, its low-cost wing formed after merging with Air Deccan, raises the question on the success of mergers of aviation companies in the country. Analysts say mergers by India's airlines have not been successful so far because of their objectives: it's to either kill competition or acquire flying rights to fly international. 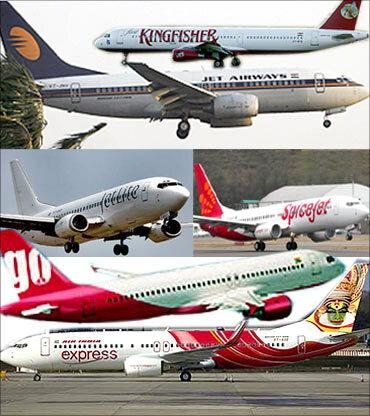 In 2007 alone, Indian aviation saw three mergers -- Kingfisher Airlines acquiring Air Deccan at Rs 550 crore (Rs 5.5 billion) and Jet Airways acquiring Air Sahara at Rs 1,450 crore (Rs 14.5 billion) besides the forced merger of national carriers Air India and Indian Airlines. 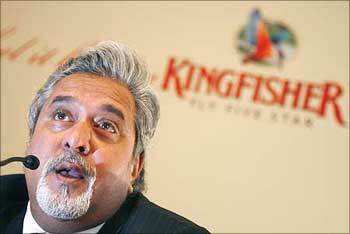 Image: Kingfisher chief Vijay Mallya. 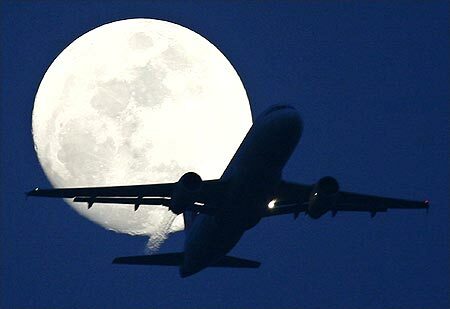 The aviation industry in India is growing at 20 per cent per annum, making it one of the largest in the world. Six major Indian carriers with around 400 aircraft catered to 143 million passengers, including 38 million international, in 2010-11. 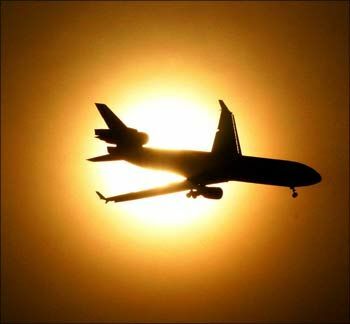 Out of the 38 million international passengers, Indian carriers flew 35 per cent of them in 2010-11. 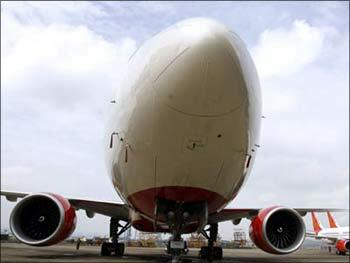 Industry analysts say Kingfisher's merger with Air Deccan gave the merged entity rights to fly international. Any Indian airline requires five years of domestic flying experience and a fleet of 20 aircraft to get permission to fly international. 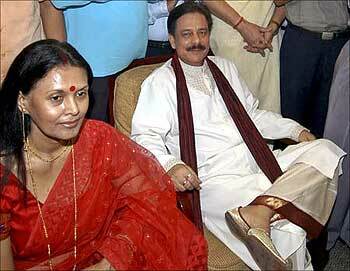 Kingfisher Airlines was only two years old in 2007, when it acquired over four-year-old Air Deccan. If the merger of the national carriers has not been able to give expected results, it is also because the move was forced from the top and was seldom planned well or/and implemented properly. "The objective of the acquisitions made by Indian carriers has been just to acquire market share and not to create a big merged entity that could share each other abilities to expand further," according to Sushi Shyamal, Partner, Ernst & Young, a financial consultancy firm. Image: An Air India aircraft. "Also, after the acquisitions the airlines ventured into the low-cost segment, which they had never done before that." Three days after acquiring Air Sahara, Jet Airways announced it to rename it JetLite and market it as a low-cost carrier. Kingfisher Airlines acquired Air Deccan in 2007 and despite many changes in logo and name ran it as an LCC division of the airline. This year, it announced to call off its low-cost operations. Attempts by full-service carriers to run two different kinds of services (both full service and low cost) within the same airline also created serious problems, as there is a lot of difference in the costs, the turnaround time of aircraft, the training modules and the distribution models. "I am a loyal Jet Airways customer but I would prefer to fly IndiGo, Go Air or SpiceJet over JetLite," notes a Delhi-based analyst. "The reason is that JetLite, as a low-cost carrier, cannot compete with them. The same was the case with Kingfisher. These full-service carriers could not manage their low-cost venture as efficiently as was expected. That led to the failure." 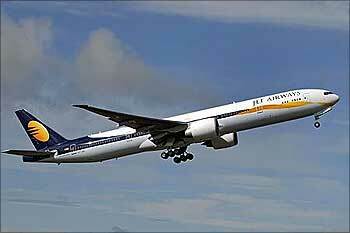 Image: A Jet Airways aircraft. Among other reasons that hampered the merger was divergent working culture. Says Horzmuz Mama, a Mumbai-based aviation expert: "The merger of two airlines can be successful if there is a common corporate culture, similar type of operation (full service or low cost), complementary route network and commonality of fleet." The lack of this commonality made it 'difficult' for the acquisition to succeed. Adds Mama: "The Indian airlines seem to have committed the same mistake. Jet-Sahara or Kingfisher-Deccan and Air India-Indian Airlines had different corporate cultures. This makes a merger process difficult. Fortunately, Jet Airways has kept JetLite as a subsidiary. "Otherwise they would have killed the airline." However, some feel that apart from the reasons cited above, external factors like slowdown in the Indian aviation market because of recession have contributed to the failure of the merger. "The dispute between Jet and Sahara after the merger also hampered the plan to take full benefit out of it," points out Vishwas Udgirkar, senior director at Deloitte Touche Tohmatsu, a financial consultancy firm. "The recession in the global markets that hit the Indian aviation industry is the other reason that would have led to their failure." Some also say the Indian aviation did not see any mergers, it was outright acquisitions and the company that was acquired lost its identity. "The Air France-KLM merger has worked," points out Mama. "That is because there is no loss of brand identity for either of the airline. Both support and augment each other. Air France-KLM may not be doing too well, but they have their head above water." In the case of Air India and Indian Airlines, government committees and auditors have blamed bad implementation and bloated projections about the benefit out of the merger have led to its failure. One of the glaring examples of bad implementation is the human resources integration. Even after the'07 merger, the airline has been able to integrate only 10 per cent of its staff. 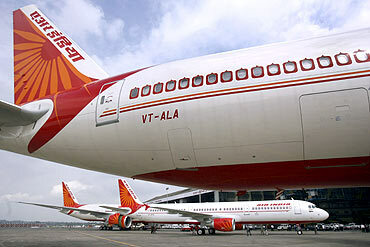 The merger of Air India and Indian Airlines was cleared by the Empowered Group of Ministers on February 21, 2007, and by the Cabinet on March 1, 2007 and became effective from August 27, the same year. The bad implementation of the merger lead to accumulated losses of over Rs 20,000 crore (Rs 200 billion) and a debt of Rs 46,950 crore (Rs 469.5 billion). Of AI's Rs 46,950 crore (Rs 469.5 billion) of debt, loans for aircraft buying are Rs 20,185 crore (Rs 201.85 billion), working capital loans Rs 22,165 crore (Rs 221.65 billion) and the other overdues.